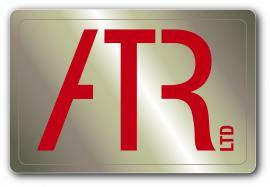 ATR Is a provider of specialist protection & risk management services, focused upon the delivery of training solutions, security strategies, services & specialist equipment. Underpinned by a deep understanding of technology integration, infrastructure management and specialist training, we help customers around the world to improve the capability, reliability and availability of their most critical assets within our key market sectors of Marine, Land, Aviation and Nuclear. Marine: Delivering complex through-life engineering services, technology, equipment, consultancy and training through unique owned and managed infrastructure to global defence and civil customers. Land: Providing critical fleet management and training for c. 80,000 customer-owned defence, emergency services, airport and commercial vehicles, engineering services and technical training worldwide. Aviation: Providing fixed and rotary wing technical training for all three armed services, equipment support, airbase management and operator-owned and customer-owned aircraft fleets across the globe. Cavendish Nuclear: Delivering major nuclear decommissioning programmes, critical training, operation support and new build programme management to both public and private customers. Babcock is a trusted partner who understands the critical role that its customers’ assets and infrastructure play in delivering their business, both in the UK and internationally. We share risk with them in delivering innovation and efficiency, and we share the benefits. Babcock has built deep technical expertise with decades of experience; we understand risk and resilience and are able to deliver availability with innovation. We are equipment‑agnostic which enables us to work with any OEM to specify and support its products. We have the ability to identify and integrate technology into our through‑life support. Click here to discover the breadth of Babcock's technological capability. We have experience of operating and managing complex and critical infrastructure assets in highly regulated environments, from unique owned marine facilities, critical air and land fleets, nuclear licensed sites, naval, air and army bases, technical training sites to customer‑owned aircraft. Technical training is an integral part of our engineering offering. It is a fundamental and on-going requirement and a core part of our expertise. Driving technical training across the Group allows us to share innovation and successful methodology across sectors to ensure our customers make the best use of their critical resources. Visit our website or download our key factsheet to learn more about Babcock. Beattie Technologies Ltd is a Defence and Security consultancy and distribution company specialising in sourcing and representing quality international products to bring to local NI and UK end users, integrators and OEM's. With an extensive global distributor network we assist local NI and UK OEM's in getting their products to market beyond the UK. Using our extensive military CIS experience, Beattie Technologies provides CIS consultancy and project support to international governement CIS departments. Assurance, Cyber Security, IT and Information Risk, Data Privacy and Security Testing divisions. Our Information Assurance team specialises in Governance, Risk and Compliance, having designed a number of software programmes that can speed up and simplify the security audit process of third party suppliers and compliance to regulations and frameworks such as PCI-DSS and ISO27001. We can deliver advisory services or can support internal teams with our highly trained specialist consultants. We supply, at short notice if necessary, the most appropriately qualified and experienced consultants on a contract, managed resource or advisory basis.